Cookie's supplies ran out and we had a rare chance of taking a day off after our Nepal trip. 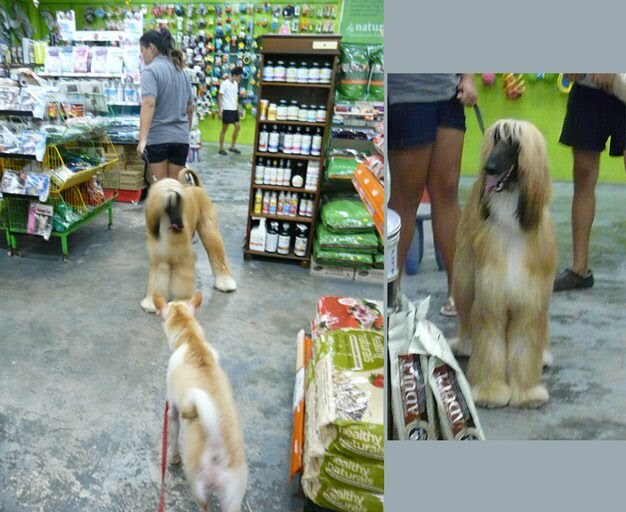 So, we brought Cookie along to Pet Movers to buy her knibbles and treats. She hasn't been there for quite some time. Here's Cookie trying to keep her balance in our moving car. The place was quiet on Monday. No queues, no other dogs to distract Cookie. Suddenly, in walked a tall, blonde beauty. It's 'Celine Dion'*! Cookie wanted to say hello but the owner of 'Celine Dion' kept dragging her away. * The story behind naming of this type of Afghan Hound 'Celine Dion' came from my recent trip to Italy. We saw a similar (but white face pink nose) blonde hound. She was very elegant. My friend commented in Cantonese "好似 Celine Dion 啊!" 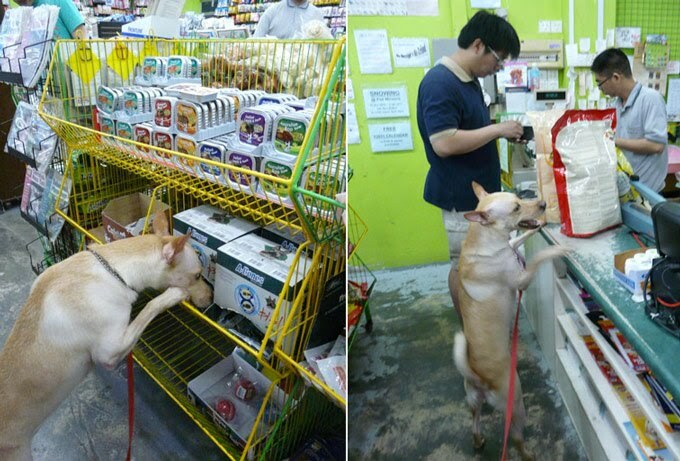 Unable to make new friend, Cookie then focused on checking out the range of food available, and even wanted to pay at the cashier counter!